The very first developer preview Android 5.0 Lollipop beta version (Build: LPX13D) is available for LG Nexus 5 smartphone and Asus Nexus 7 (2013 Wi-Fi) tablet devices for manual installation / upgradation / updation. 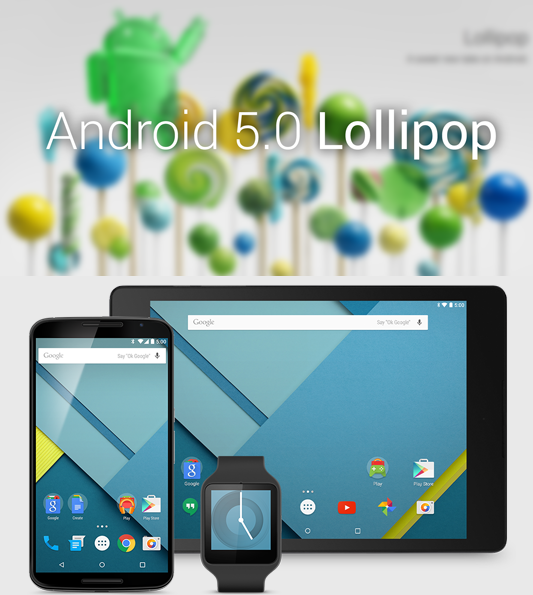 The official Android Lollipop v5.0 OTA Update is expected to be delivered from November 03, 2014 to general public users. Users can Download Android 5.0 Lollipop Developer Preview (LPX13D) Update .TGZ File Manually for Nexus 5 and Nexus 7 via Direct Links. Currently, Android Lollipop v5.0 Developer Preview (Build: LPX13D) and Android Lollipop v5.0 SDK is only available for app development, testing and experimental purpose on Asus Nexus 7 (2013 Wi-Fi) Tablets and Nexus 5 (GSM / LTE) Smartphones, and it’s not supported and compatible with other Nexus flagships i.e. Nexus 7 (2012 Wi-Fi), Nexus 10, Nexus 4, Nexus 7 (2013 LTE) and Google Play Edition devices, While Nexus 6 smartphone and Nexus 9 tablet will be the first ever devices to get official Android 5.0 Lollipop Update. How to Download and Install Android 5.0 Lollipop Preview (LPX13D) Update Manually? All Android developers and general users can download Android Lollipop Preview system factory image via Android Developers Portal website. The official Direct Download Links of Free Android 5.0 Lollipop Developer Preview Update Installer .TGZ File for Nexus 5 and Nexus 7 is posted below. How to Manually Install Android 5.0 Lollipop Preview on Nexus 5 and Nexus 7? How to Root Android 5.0 Lollipop Preview on Nexus 5 and Nexus 7?